If Poseidon, the God of the Sea, were going to eat fish tacos (cannibalism? ), he'd eat San Diego fish tacos. 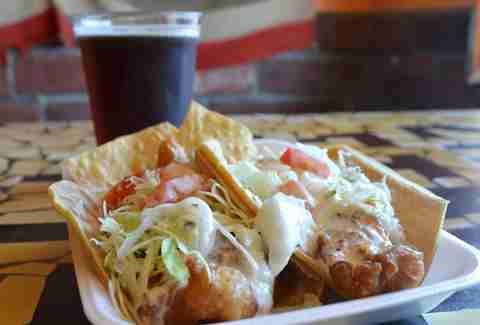 Fish tacos are the quintessential San Diego food. And since we make a million Poseidon-worthy fish tacos, the question must be asked: which are the best? That's far too big a question for any one person to answer, so we assembled a panel of "experts": i.e. surfers, who eat them with just as much fervor as they do California burritos. Eight of them gave us their top five picks, and we assigned points (5 for a first place, 4 for a second, and so on...), arriving at this definitive list of the finest fish tacos in San Diego. 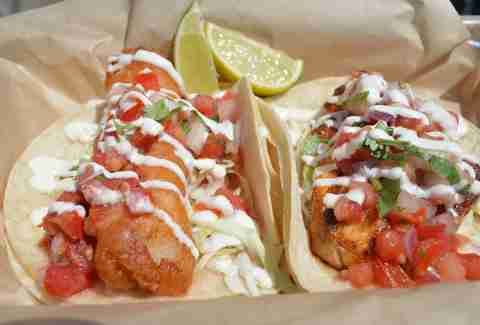 So basically, these are the best fish tacos anywhere. Please stop hyperventilating. Love it or hate it, this chain (with more than 200 locations now) is where it all started. 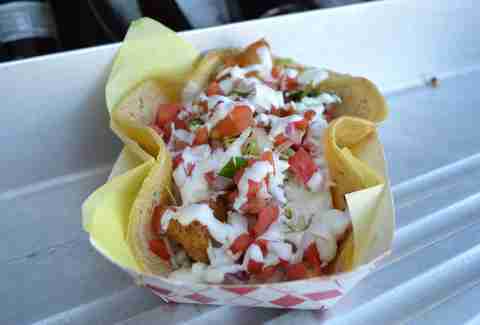 After a surf trip to Baja where he tried his first fish taco in 1983, Ralph Rubio brought the traditional fish taco -- battered fish topped with cabbage and lime -- back to SD. There're locations all over San Diego County and the tacos are $1.25 on Tuesdays. Convenience, price, seniority. An absolute North County staple, Kotija nails everything from fish burritos to rolled tacos to menudo. It's your classic hole-in-the-wall taqueria, but better and more beloved than your run-of-the-mills. 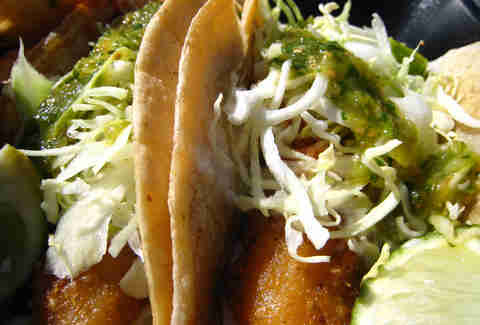 The fish tacos are traditional "Ensenada-style" and a little larger than average. Located on the San Diego Bay in Point Loma's historic fishing neighborhood, Mitch Conniff's joint brings in all its fish fresh each morning. From its crab cake sandwiches to its calamari, "fresh is the bottom line," says fish taco expert Derek Harline. Bonuses: nine taps, a good selection of bottles, and the wraparound deck overlooking boats parked in the Bay. Seven days a week, in a parking lot on Grape St, this food truck (it's not fancy) serves classics (quesadillas, burritos) and other Mexican specialties. 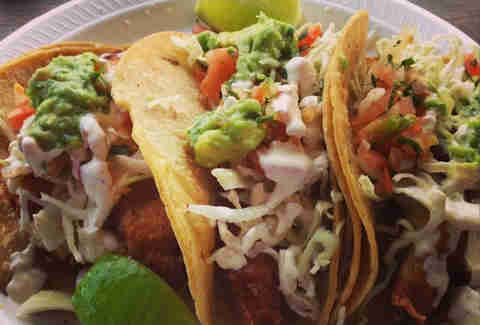 Order the Baja Trio, which is three tacos, one filled with fried fish, one with shrimp, and one with marlin. Also, if you're craving coconut juice straight from the coconut... well, you can also get that here. This famed Mexican eatery's original spot on Park offers everything from huevos rancheros to scallop tacos to calamari burritos. 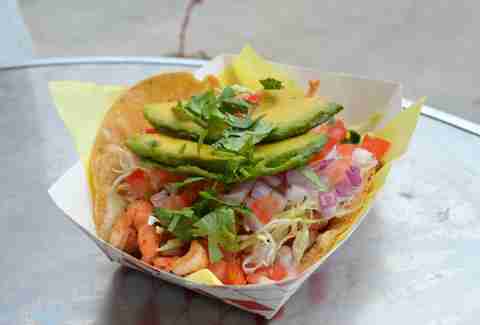 A single fish taco is 99 cents, making theirs one of the cheapest entries on this list. These guys opened a sit-down on Adams, so don't get confused, but the original location is open until 2am. 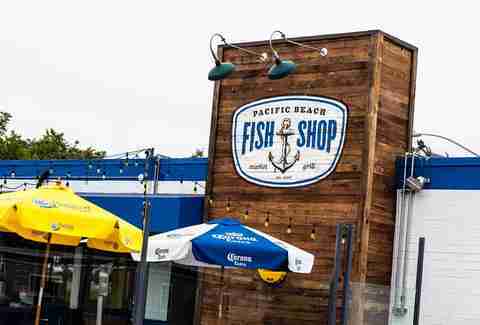 This casual seafood eatery and fish market opened this flagship location in 2010, and has since expanded into Encinitas and Hermosa Beach. The entire menu is solid (lobster lumpia, swordfish sandwiches, fish 'n chips), but their calling card is the TKO Taco. What makes the "Technical Knock Out" Taco punch its peers in the face? The atypical citrus salsa made with papaya, mango, and pineapple, and notably fresh fish that's grilled instead of fried. This relative newcomer has made an impression quickly for tacos and Mexican seafood dishes. Their battered and fried fish tacos are top-notch, but go for the surf and turf taco: a corn tortilla loaded with steak, shrimp, diced tomatoes, red onions, cabbage, and cilantro. The three sauces in squirt bottles (creamy habanero, red pepper, and chipotle mayo) are freaking fantastic. Also, try the mango juice, simply made from freshly squeezed mangoes and a little sugar. 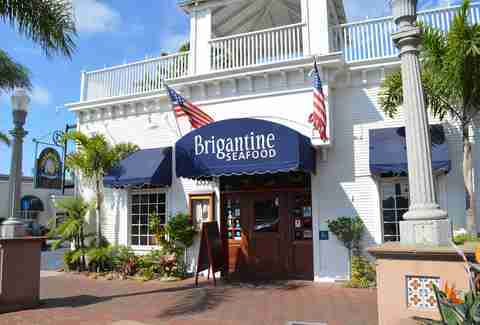 A household name in SD, The Brig has been serving quality seafood since 1969. Their six locations do mahi mahi fish tacos (your choice: grilled or fried), and a grilled swordfish taco, which is, in our opinion, the best bet. If you are going to do fish tacos, order a pepper vodka oyster shooter. Pro tip: the Del Mar location's wraparound deck is epic, so go there to drink/eat/embark on awkward Tinder dates. 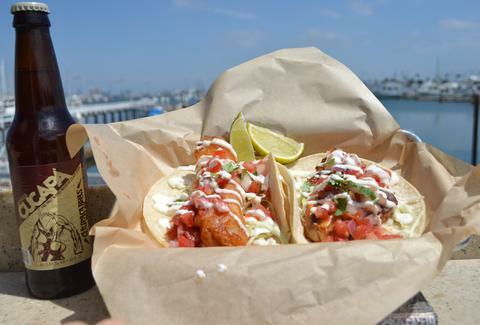 "It's the combination of sitting upstairs, watching the surf come off of the pier while drinking a beer... or two or three or four, and the sheer variety of different types of fish tacos you can get," said fish taco expert Dave Smith. "There're fried oyster tacos, shark tacos, fried zucchini tacos, etc." Their classic -- the grilled mahi mahi fish taco -- stands out from the school because the fish is marinated overnight in a pineapple and teriyaki marinade. Fun fact: when they founded the restaurant in 1992, brothers/surfers/fishermen John and Mark Thompson named it "South Beach" because that's what the break near the OB jetty was called back then. The rest is fish-istory. This restaurant and full fish market has been heralded, time and again, as one of the best places to get fish in San Diego... even by Guy Fieri. These guys use 4-5oz of fish to make a mammoth, healthier-than-average fish taco. There's so much fish in this taco, it doesn't really close, per se. 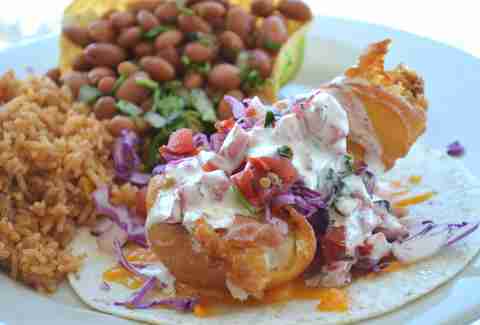 About Blue Water, fish taco expert Chris Rinder said, "There're about 20 different selections of fish at Blue Water. So you're not just offered one fish taco. You can get salmon, tuna, ahi, etc." 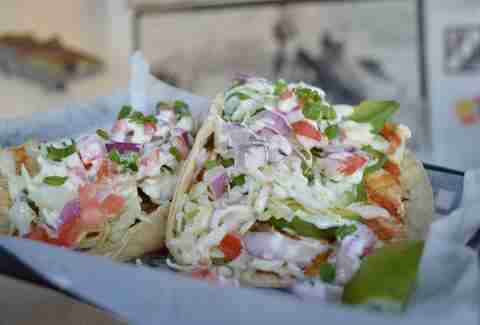 Owners Matt and Judd Braun still do a lot of the fishing themselves, and the shload of fixings -- refreshing, healthy things -- like cabbage, tomatoes, onions, plus white sauce and cheddar cheese, make this taco stand out. Unless you say otherwise, the fish's sea-soning (!) will be chipotle.